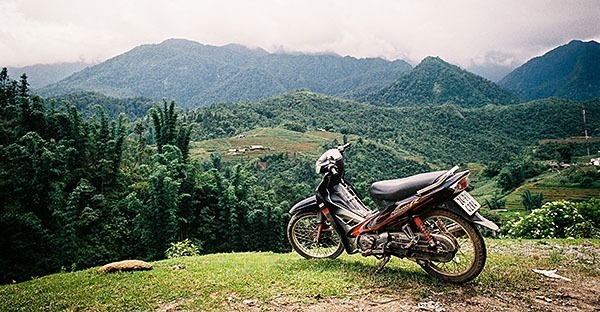 A great way to really ‘see’ a country and actually get a good grasp or a true feel of it is to travel by motorcycle. You can explore parts you would never see when taking a bus or train, in-between destinations and those completely off the beaten track. However taking a motorcycle without the right preparation, and without having some genuine knowledge of the place you will be riding in, can be perilous. But don’t let this put you off. With a little planning and guidance you can avoid unforeseen problems and give yourself peace of mind. Learn some of the pleasantries and useful phrases of each country before you arrive. Don’t be afraid of trying phrases out. Making even a small effort to speak someone’s language instantly gives you common ground. It will be greatly appreciated and you will be more likely to find help and assistance in return. It is best to travel in a group, so someone can go for help should someone break down. If you are travelling alone, take extra care and make sure you always keep people updated of your movements. Take tools; pressurised expanding tyre foam, a spare chain and tool, allen keys and spanners/screwdrivers. Ensure you have a charged telephone preferably with GPS, plus an actual map because you will not always have signal. Plan your routes in advance, and if you veer off keep track of points of interest so you can find your way back. The best place to buy and register a bike is Cambodia. There are plenty of shops in Cambodia that speak perfect English such as Flying Bikes. They will get you a bike for a good price and sort out your international license and bike registration. It is all done completely legitimately, you and the bike will be completely legal and you won’t have the headache of having to try and do it all yourself. You will need to enter Cambodia on a business visa ($25 instead of $20), and ensure the bike is registered in your own name i.e. matching your license. Then you will be able to breeze through the borders of Thailand, Laos, Vietnam, Malaysia, Singapore etc. Make sure you have a good helmet, boots and gloves. It is not worth scrimping on these things as it will pay dividends should you be unfortunate enough to be involved in an accident. Make sure you do your research on the country’s road rules. For example, it is illegal to ride with your headlight on in the day in Cambodia. A lot of bikes do not have the option of turning it off so you will have to fit an on/off switch. This will save you getting stopped by and having to bribe the police. Also bear in mind which side of the road you will be on. Thailand drives on the left, whereas Cambodia and Laos drive on the right. As a westerner you are a long way from home, and people drive very different out in Asia. Be cautious yet confident as the pace is very fast. Be observant to how people drive/ride around you. It is scary at first but you soon settle into the way they use the roads. Most of all, enjoy your trip and take advantage of the limitless potential for exploration this beautiful continent offers. Last updated by Maria Holburt on 28 October, 2013 in Travel Tips.